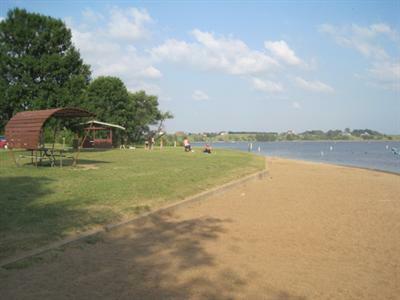 Known for its clear waters and abundant fish, Lake Vermillion Recreation Area is a popular place among fishermen, boaters and swimmers. During the fall, sportsmen can find waterfowl and upland game within minutes from the park. 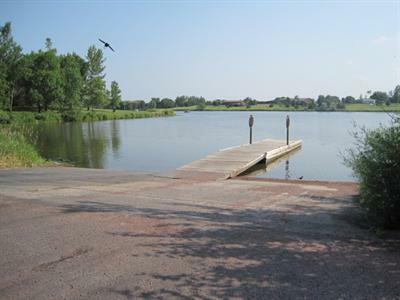 This 512-acre reservoir is located 27 miles west of Sioux Falls. Three campgrounds with both electrical and non-electrical sites and camping cabins provide plenty of space for overnight visitors. Whether you bring an RV, a tent or prefer the comfort of the indoors, making a reservation is quick and easy. A little time at the computer using the online system and you're good to go. You can hit the beach, rent a canoe or kayak or unpack your fishing gear to haul in a catch of walleye, northern pike, crappie or blue gill. 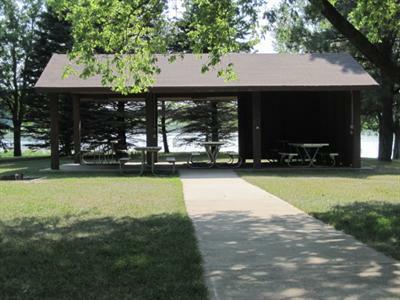 If you choose to stay in a cabin at Lake Vermillion Recreation Area, they are available year-round. Each sleeps four people and is furnished with a set of bunk beds, double bed, table, benches and heating/air conditioning. Lake Vermillion was created by impounding waters from the east fork of the Vermillion River in 1958. The river itself was first noted on an 1801 map by a French trapper who called it Otter Stream. The word vermillion means vivid red color. Some say the stream got its name from the outcropping of red quartzite along its bank. 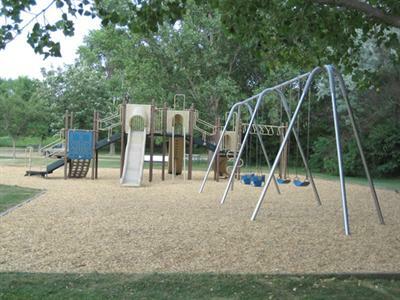 Along with red, you'll find three other R's at Lake Vermillion Recreation Area: rest, relaxation and recreation. Had a great time. Staff is very helpful and friendly. Nice and quiet, will be back. I love South Dakota. We enjoyed the cleanliness and facilities in October and returned in early November to find comfort stations closed for the season. Am absolute closing date for showers would be helpful. Nice work on a great facility. Really enjoyed the Otter Trail with my dog.